At GenerateWP, we always improve our tools, with many ongoing updates under the hood, many of them based on your feedback. Like all digital products, there’s a process. We listen to your valuable feedback and improve our tools accordingly. Today we are exited to introduce new fields added to the Metabox Generator. Now you can create Metaboxes with auto-embed capabilities using the oEmbed protocol. 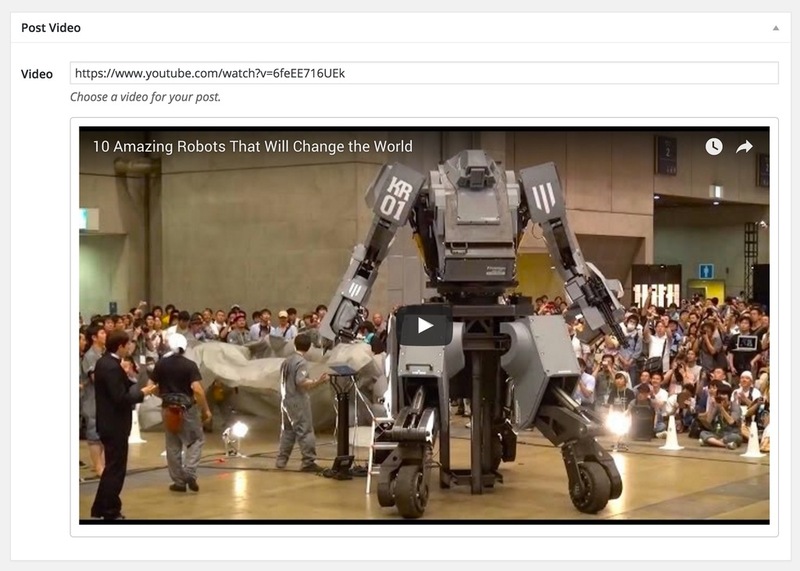 This nifty feature will allow you to embed content from external services (like YouTube, Vimeo, Twitter and others). You will also be able to preview the video directly in your newly-created Metabox. As always, we try to use core functions for ensuring backwards-compatibility with older WordPress versions, with minumum workarounds as possible. For this field type, we use wp_oembed_get(), introduced in WordPress 2.9. Do you need to show a dynamically-created Select box/Dropdown to show your site’s pages in a Metabox? No problem. Use the “Pages” field and the generator will do the rest! We use wp_dropdown_pages() to implement this field. If you’d like to show a Select box with all the categories – just use the “Categories” field, and the new Metabox field will populate with the existing categories on your site! We use wp_dropdown_categories() to implement this field. Same applies for users list. The “Users” field will create a dynamically-populated select box field with all your site’s users in a Metabox. We use wp_dropdown_users() function to implement this field. OK, that’s a wrap! Please let us know in the comments below what you think about our new fields, as well as ideas for other fields you’d like to see implemented in the future. The next generator in our roadmap is the “Term Meta”, and after that the “Settings API”. Why isn’t there an option for a file uploader on the metabox generator?